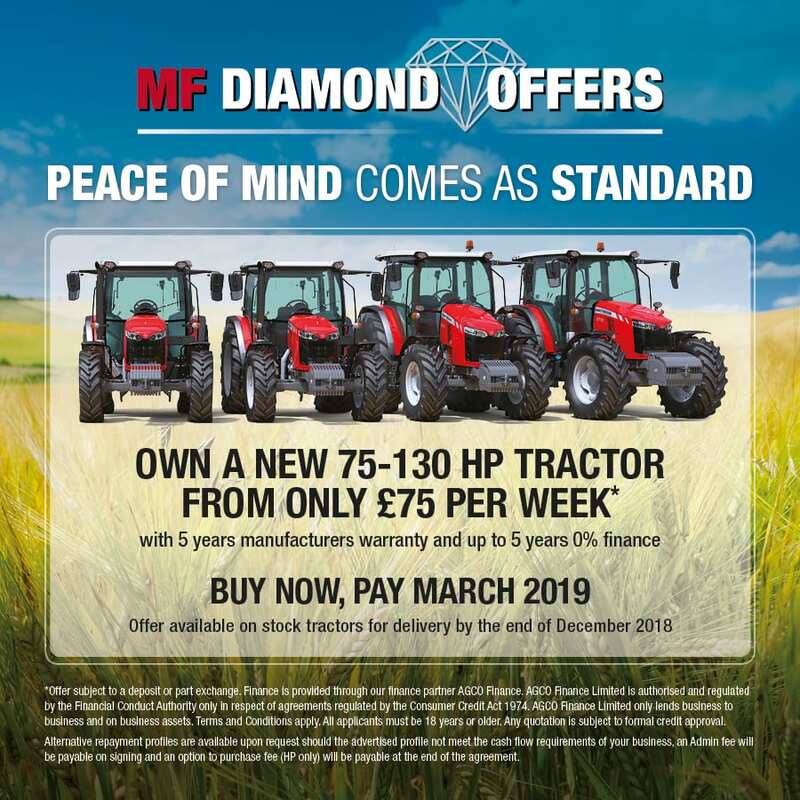 The new Diamond Offer on Massey Ferguson 75-130 HP Tractors will give you the opportunity to take home a new tractor from as little as £75 per week*. 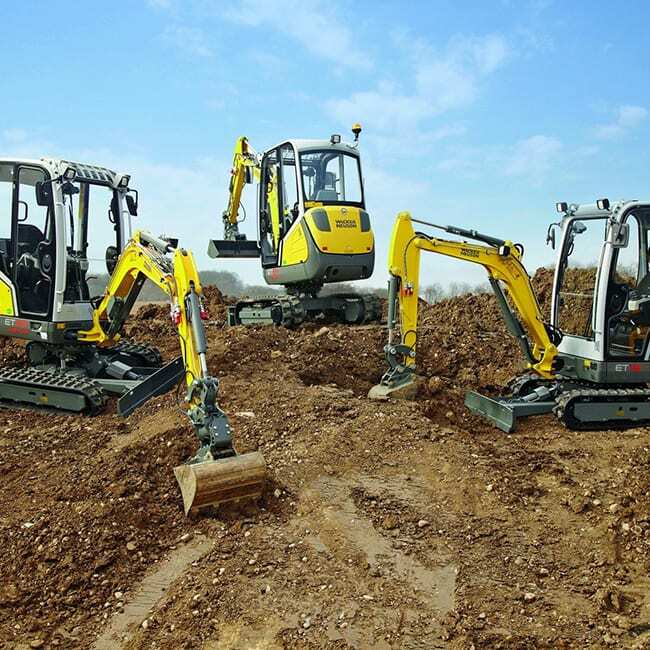 A range of models are available in the 4700, 5700 and 6700 Global series and all machines come backed up with 5 years manufactures warranty and are available with up to 5 years 0% finance. 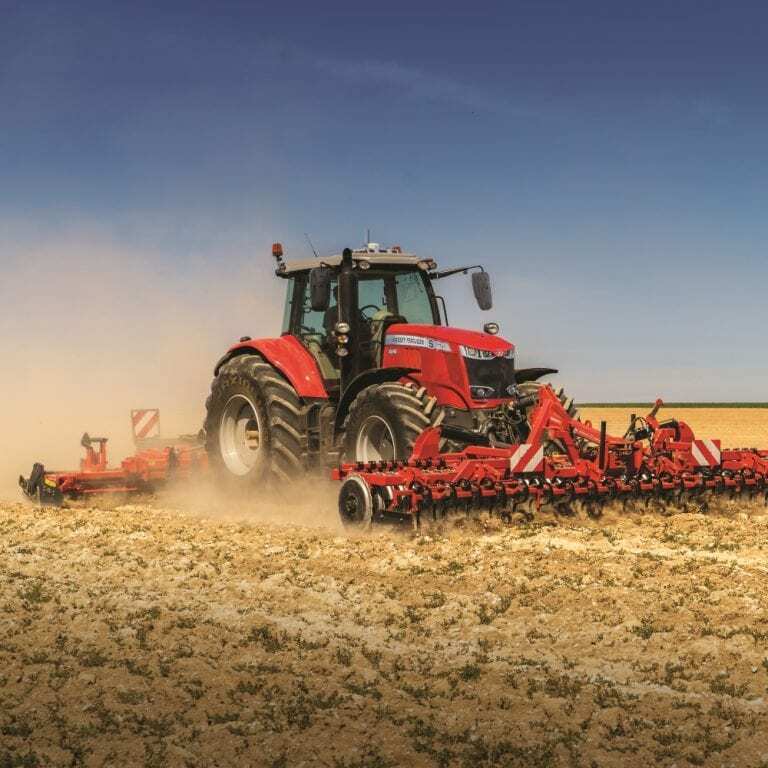 For a limited number of tractors in stock at C&O we are able to offer you the the option to buy now, take delivery before the end of December 2018, pay March 2019. Talk to your local sales team to find out more about offer and tractors in stock. 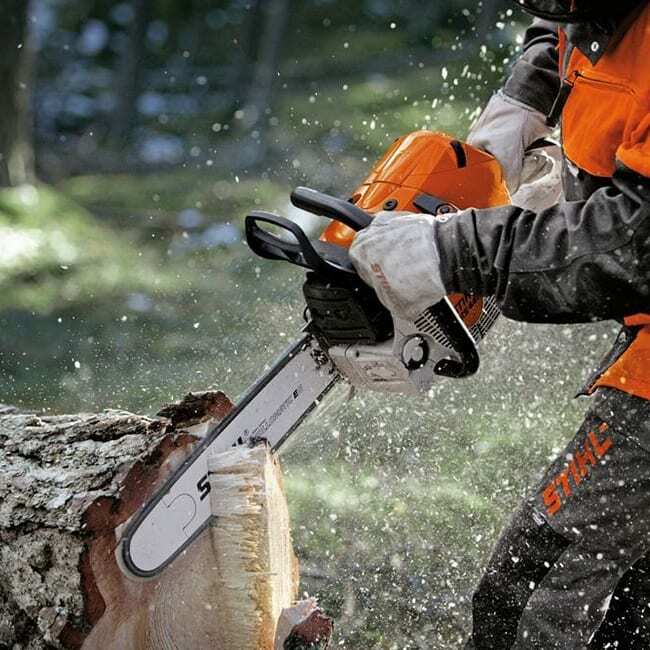 purchase fee (HP only) will be payable at the end of the agreement.